In 2012 the State of Connecticut was one of several states that the ESC worked with to develop and implement a new ESPC program based on the ESC's Best Practices and resources. 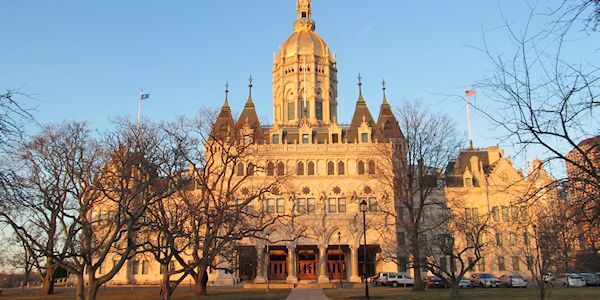 On March 27, Connecticut’s “Lead by Example” (LBE) program announced that a municipality, a state agency, and a state facility are the first three organizations to take advantage of the state's new Performance Contracting process. The City of Bristol, the Connecticut Department of Corrections, and the Connecticut Valley Hospital have all taken the key step forward to begin energy efficiency projects designed to reduce energy costs for the state and municipalities, upgrade facilities, create jobs, and drive investment in Connecticut’s economy. The Department of Energy and Environmental Protection (DEEP) and the Department of Administrative Services (DAS) have developed a standardized program that enables agencies and towns to more easily enter into these performance contracts. The program includes pre-approved contractors, on-call advisors, standardized contract templates, and targeted financial assistance, which will help ensure that state agencies and municipalities see positive results from this program. The energy savings performance contracting program is a collaborative effort across state government, involving the Offices of Attorney General George Jepsen and State Treasurer Denise Nappier, the Clean Energy Finance and Investment Authority (CEFIA), the Departments of Administrative Services (DAS), Energy and Environmental Protection (DEEP), and Construction Services (DCS), and the Office of Policy and Management (OPM). This initiative will be further supported by a public/private partnership with local non-profits such as the Tremaine Foundation, the Common Sense Fund, and the Hampshire Foundation, who will create awareness of the performance contracting opportunities among municipalities. Established in the milestone energy legislation Public Act 11-80, DEEP and DAS jointly administer the LBE program. In addition to its performance contracting program, LBE has allocated more than $10 million to 44 different energy efficiency projects across state government, with an average payback period of less than six years. LBE is also in the process of installing energy monitoring systems at up to 100 of the state’s largest energy consuming buildings, which will reduce energy usage through targeted recommendations for low- and no-cost efficiency measures. Interested parties can find out more about the LBE, including the performance contracting program, at www.ct.gov/deep/leadbyexample.